Q: My child was selected to play for the Rapid. Now what? 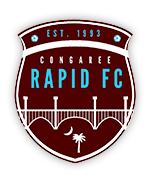 A: Register online at www.congareerapid.com. To confirm your child's spot on the team, please visit the Uniform Order - Lloyd's link under Quick Links and order his/her uniform to secure their roster spot. You will also need to pay your initial June club fees payment. Q: What are the club fees for CRFC? A: Please visit this weblink for a full explanation. Q: Can I pay my club fees over time? A: Yes, you may pay over a period of five months for the Fall season (June, July, August, September, and October) and over five months for the Spring season teams (November, December, January, February, March). Q: Is the SCYSA State Cup tournament entry fee included in the team fee for the Select U13-U18 teams? A: Yes, Select U13-U18 teams that qualify for the State cup tournament will have their entry fee covered by CRFC. Q: My child wants to play a high school sport during the fall season too, does CRFC work with them in order to facilitate this desire? A: Part of what makes CRFC unique is the fact that we want student-athletes to be involved in their school sports too! Our club is comprised largely of coaches who truly value the high school experience and prep soccer game. We will work with players that are participating in their school sports programs as long as an earnest effort is made to create a balance between the two. In short, YES YOU CAN DO BOTH! Q: Is the SCYSA Fall Festival and Spring Festival included in the team fee for Junior Academy U8-U12 teams? A: Yes, the Fall Festival is included, but the Spring Festival is not included. Q: What about additional tournaments my team chooses to attend? A: No, these are not covered via your club fees. CRFC allows each team to formulate their own tourney schedule. However, most teams participate in 1-3 tourneys per season. Q: Do I have to pay extra for tournaments? Players are responsible for their own transportation and accommodations. Q: Can I get a discount on my club fees if I pay online? A: Yes, those who opt for auto-draft/pay will receive a $25 discount. Q: Can I get a discount on my club fees if I pay all fees up front? A: Yes, those who opt to pay in full by June 15th will receive a $50 discount. Q: Is there any discount for having multiple children participate with CRFC? A: Yes, CRFC will offer a sibling discount of $25 per sibling after the first child pays in full. Q: What happens if I don't pay my fees on time? A: CRFC policy includes suspension of the payer if club fees due by September 20th are not paid in full. If players do not confirm their roster spot on the team via purchase of uniform and June payment, then their spot will be considered open to fill by another player. Q: Do you play on Sunday? A: Yes, most of our teams compete on Sundays. Q: I have season tickets to USC Gamecocks or Clemson Tigers football games, do you play at this time? A: Yes, however, our club makes a conscientious effort to avoid direct conflicts. However, when the football schedule is released we often don't know actual game kickoff times due to TV, but we do try to work around it. Q: Where do the teams play/practice? A: The CRFC geographic footprint reaches from the Congaree River towards Lexington. CRFC has used of facilties in Columbia (Heathwood Hall Episcopal School), Cayce (River Bluff Baptist Church), and the West Columbia Soccer Complex at Old Barnwell Road. Q: What do I wear to practice? 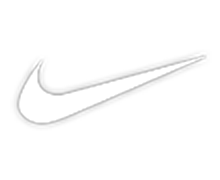 A: Each Rapid player will wear their training gear to practice. In addition, the players must wear shinguards, soccer cleats, and should provide their own water/sport drink and soccer ball. A: Typically twice a week for either 1:30 or 2:00 hours. SCSCL players are expected to take advantage of our C3 program which is an additional third night of training with our DOC/BTD/GTD. Goalkeepers are expected to attend one Goalkeeper Training session weekly during the season. The C3 program is offered to ALL Rapid players at no additional cost. Q: How many players will there be on a team? A: Select U13-U18 teams = 18 maximum; Junior Academy U8-10 = 12 max; Junior Academy U11-U12 = 14 max. Q: How is playing time decided? A: It depends ... Select U13-U18 teams award playing time based on ability, commitment, and performance. Junior Academy U8-U12 teams strive to provide equal playing time for all players, but this is not a 'quarter/half' system. There is no hard-fast "time-played" rule, but efforts are made to give every player the opportunity to improve. Q: What is the mission of CRFC? A: To provide quality soccer instruction for youth in the central Midlands region. CRFC aims to develop youth soccer players that aspire to be quality high school level players. In order to achieve this measure, player development is first and foremost. Winning is encouraged and desired at the upper age levels, but not at the expense of player development. Q: Does CRFC move players from team to team in season? A: Sometimes, as necessity/desirability dictates. 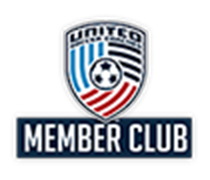 At the Select U13-U18 level, teams may "Club Pass" a player from another team to participate in league games or guest roster a player from another team for a tournament. At the Junior Academy U8-U12 level, players are "Pool-Rostered" to allow for movement between teams as necessary/desirable.